March isn’t the craziest month gig wise, but I’m keeping busy behind the scenes. I have two Saturdays off for family obligations, and one completely free, which is always a nice way to feel human again. Over the course of a year, I probably work 49 out of 52 Saturdays. 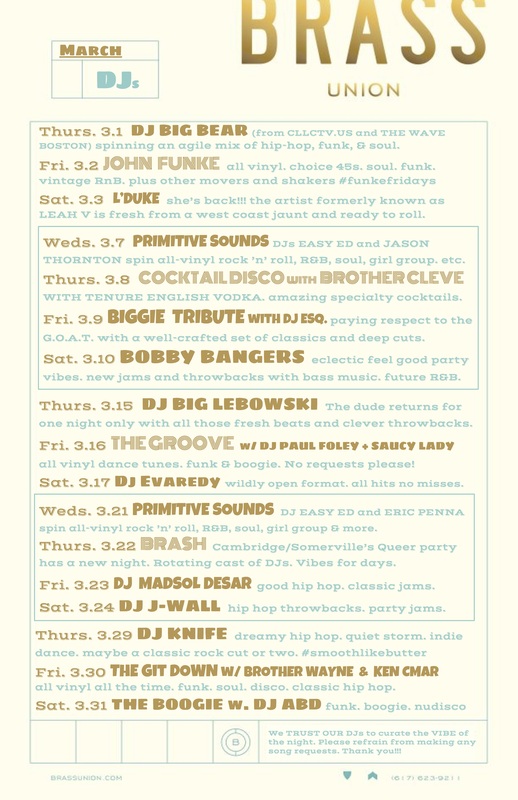 And speaking of Saturdays, I’ll be back at Brass Union on Saturday 3/24 and Good Life on Saturday 3/31. More on that later. Having a lighter gig load gives me a great opportunity to hit the reset button. Don’t get me wrong, I’d love to work every single night, but having some time to breathe between gigs helps the sanity level. That’s where I can start digging for new tracks and tackling macro projects, like crate organization or practicing scratches. I also feel a less of an urgency to listen to music for DJ-related purposes. I can just let it flow, rather than scrub to the hook of a track to make sure it stacks up for the dance floor. Naturally, it’s in times like these where I’ll find that gem that I haven’t heard anyone else play around here: one that I can get away with spinning even on the most basic nights and feel warm inside, one that I’ll never get tired of hearing and always know the right time/place to drop it. When knocking out a bunch of gigs in a row, there’s always the temptation to fall into familiar routines. After a while you get a good sense of what works in certain situations and have your weapons lined up. Some of the most unfulfilling nights are when I go this route. I’ll even ask myself, “Are you really going to do that again?” as I’m doing the cut. It may work perfectly for the night, but I can feel my brain oozing with frustration for the lack of creativity. That said, if I give those particular cuts a rest, there is always a time weeks, months, or years down the line when it feels fresh again. Song fatigue is a real thing. I look forward to a month dedicated to discovery and re-upping my creative energy. I am fortunate to be able to work so much. I realize it’s kind of ridiculous to consider 16 gigs a slow month, but when you love what you do, sometimes the biggest challenge is knowing when to chill out. My newest weekly residency has been going strong into its seventh month now. Every Monday at the Milky Way in JP I get the privilege of spinning for dinner service. I set up in a cozy corner and just vibe out for two hours. Usually I’ll freestyle throughout my entire library and try to work on mixing in key. It’s amazing what genres can be connected when mixing harmonically. I do take risks on this night, but I also realize that I’m not the show. I can’t be too flashy or command too much attention because, after all, people are eating their dinner. My goal is to give ’em an experience that appeases the subconscious, and if they want to actively tune in, that’s just a bonus. On 3/31, I’ll be back at Fresh Produce, the legendary last-Saturday celebration of all things hip-hop and reggae at Good Life Bar, soon to turn 12. 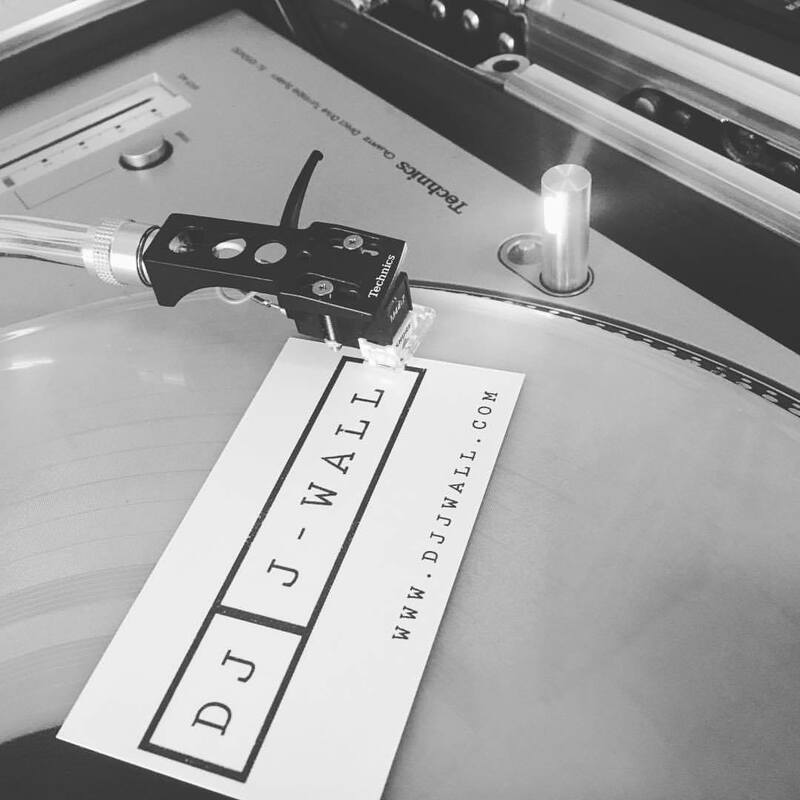 DJ esq. and I will be going B2B for four hours. 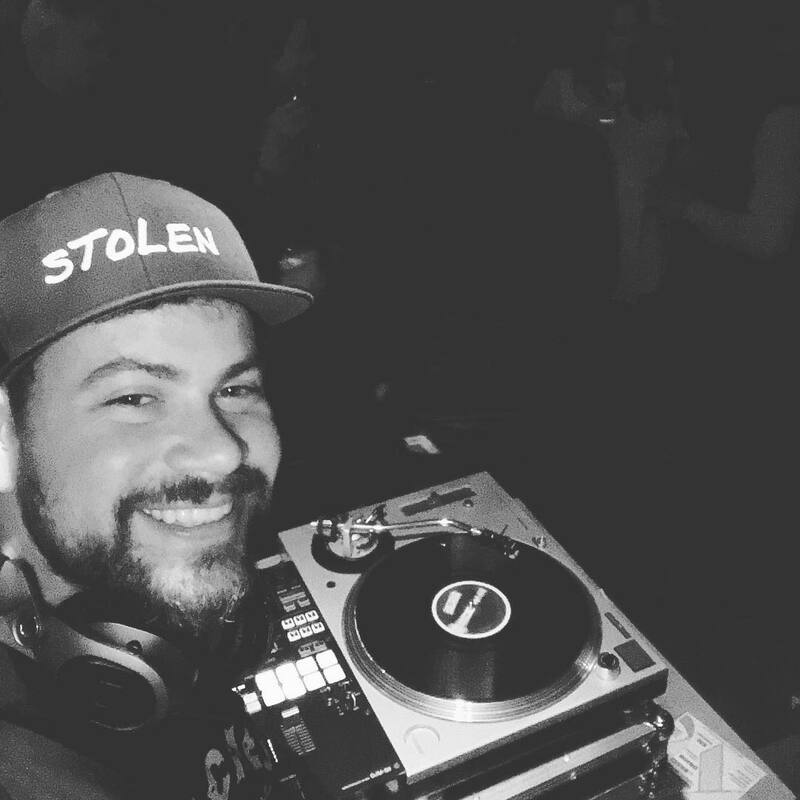 He is one of my favorite DJs and a total beast, which is just another reason to practice my cuts this month! Any month that has five Fridays and Five Saturdays is fine by me. 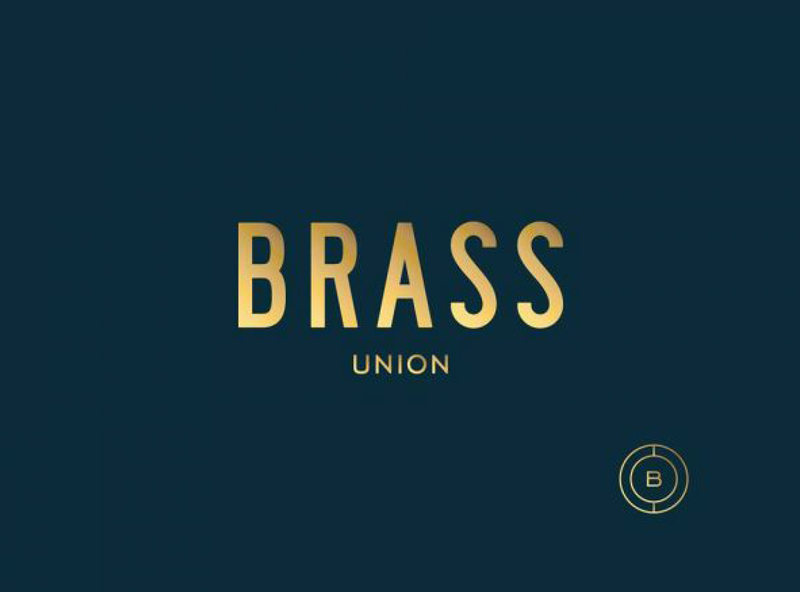 Check out the full Brass Union DJ schedule below (curated by your’s truly). I’ll have my shot on the decks on Saturday 3/24. As always there’s never a cover!